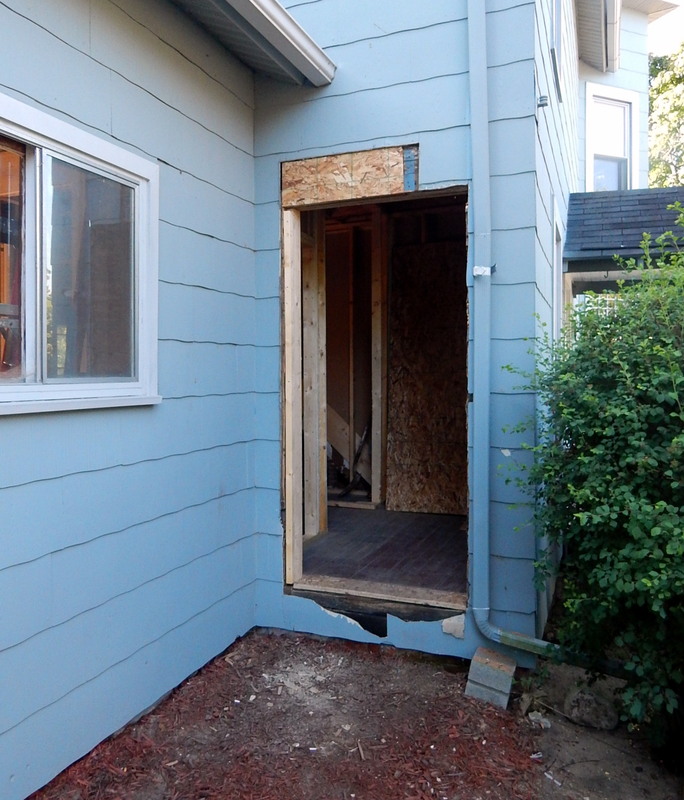 New Mud Room entry door cut in on west side of home. 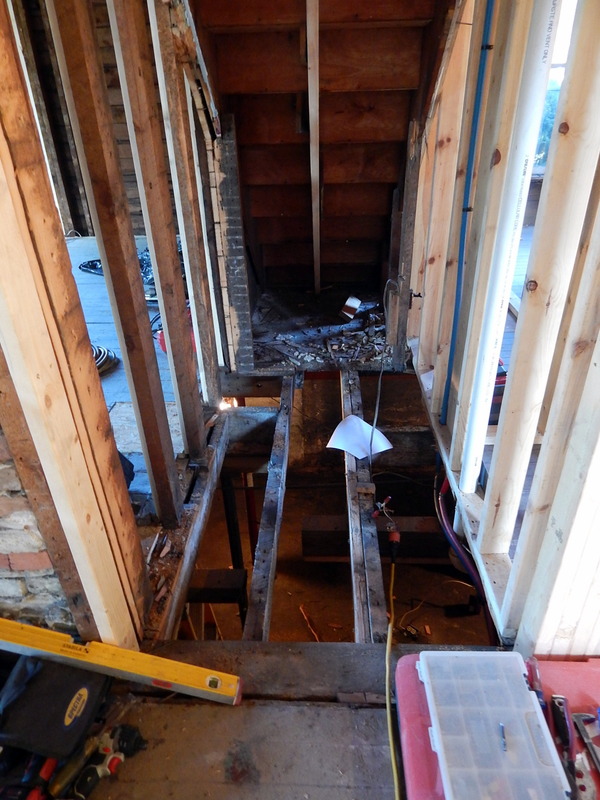 Future location of stairs to basement. 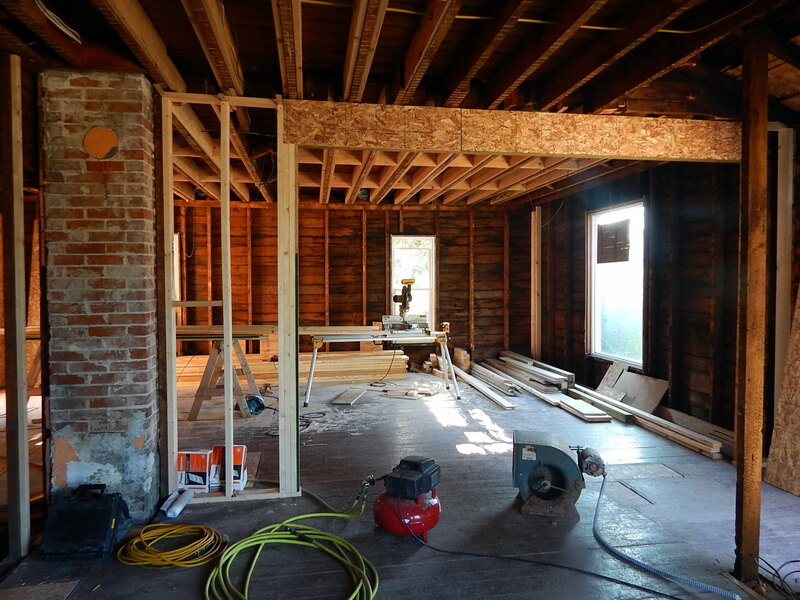 Master Bedroom will have a beautiful, private view of the yard. Looking at the future Kitchen from the Living Room. 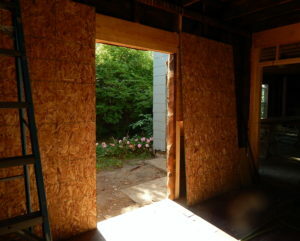 The framed opening will become a large, trimmed arch. 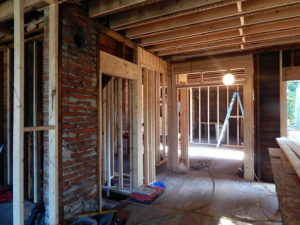 Standing in the Dining Room looking toward the Master Suite and Mu Room doors.